Should You Clean Bulk Or Dirty Bulk? Everyone looking to gain weight this winter has this question on their mind…”should I do a dirty bulk or a clean bulk?” Well we’re about to look at both options and discuss which is best depending on your situations. 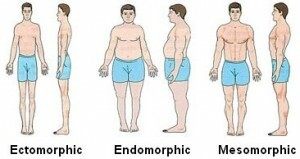 If you are someone who has an ectomorph body type than you can get away with what most people would call a “dirty bulk” because you have a naturally high metabolism. However, you should definitely watch the mirror to make sure you don’t get carried away. As you begin to introduce more carbohydrates into your body your metabolism may slow down to the point where you actually begin to put on some serious fat. For everyone else however I recommend a clean bulk and here’s why. For a natural athlete, it is much more logical to do a clean bulk because we are essentially capped out at a finite amount of muscle that is possible for us to gain. As well as a finite amount of protein that we are able to synthesize. For someone who uses performance enhancing drugs though, a dirty bulk can amount to much more muscle gained as they are able to synthesize more protein, train for longer and build more muscle in a shorter period of time. Whereas a natural athlete would end up getting fat from all of the extra calories. All in all, I’ve done a clean bulk as well as a dirty bulk and after this year I’m not going back to dirty bulking again. As a natural lifter, I realize that I’m about capped out in terms of how much muscle my frame can naturally hold so there’s no sense in pigging out only to have to spend more time on the treadmill and lose my strength later. By clean bulking I will be able to stay lean year round, keep my strength as I lose weight and getting cut for the Summer each year will only be a very light 1-3 month ordeal rather than a 4-5 month process. Well that’s it for this article. I hope you’ve enjoyed it.